Take advantage of the expertise in the room with quick consults with experts on communication and fundraising! Frustrated by marketing? Questions about communications? Sign up for 20 minutes of free consulting by Allison Carney, a Walla Walla-based nonprofit communications consultant. Bring your questions about social media, websites, or messaging, or even bring a piece of printed collateral to get professional feedback and insight. Tell me about a project you are working on, and I’ll brainstorm with you cost-effective ways to integrate visuals – graphics, photos, and videos—to strengthen your message. Sign up for 20 minutes of free consulting by Margaret “Meps” Schulte, an artist, graphic designer, and all around visual content expert. 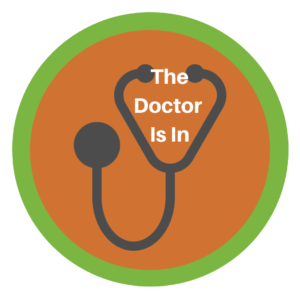 “The Doctor is In…Into Fundraising! Stop by the Incite! Consulting Group booth to talk about all things fundraising. Got a board that doesn’t fundraise? Need to create a culture of philanthropy at your shop? Haven’t written a fund development plan? Want to spice up your revenue streams? Book a 20 minute consult with Kari Anderson and walk away with tangible steps to increase fundraising at your nonprofit!